What are your chances this weekend? It’s not one of my favourite tracks and I’ve not had the best luck in MotoGP but I think that I have to forget everything and try and ride as well as I can. How difficult is it to get the tyre up to temperature here? It depends. It could be that you lose temperature from the wind or you don’t go fast enough and the tyre doesn’t work hard enough. It’s a very tricky track for tyres. They are becoming better. Obviously the crash at Aragon was big and I’ve got a problem in the muscles of my back and abdominal and I have to give them time. Last week was hard so I have to see how it’s healed. 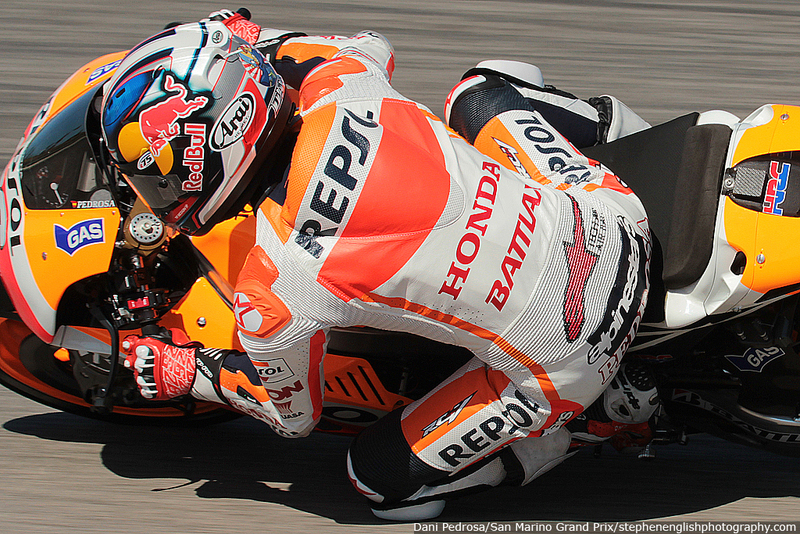 How difficult was it to race in pain at Sepang? The biggest problem was in the beginning. When I started the first couple of laps was when I felt the most pain but then when I got going I could forget about it. With all the injuries that you have had over the last ten years are you finding it more difficult to recover? Yeah, a little bit. Obviously now after a big crash I don’t get up as quickly as when I was 20, not that I’m old now! But sure I feel different. I don’t count but many. Looking back on your career so far in 125s and 250s you were as good as anyone in the last 30 years how tough has it been to come into MotoGP and not to have won the title yet? Sometimes it’s been hard because I push myself every year a little further and I always try to do the maximum that I know and put my knowledge and skill. Basically I have had a couple of good chances to win but I was a little bit unlucky. On other occasions I wasn’t the best one either. 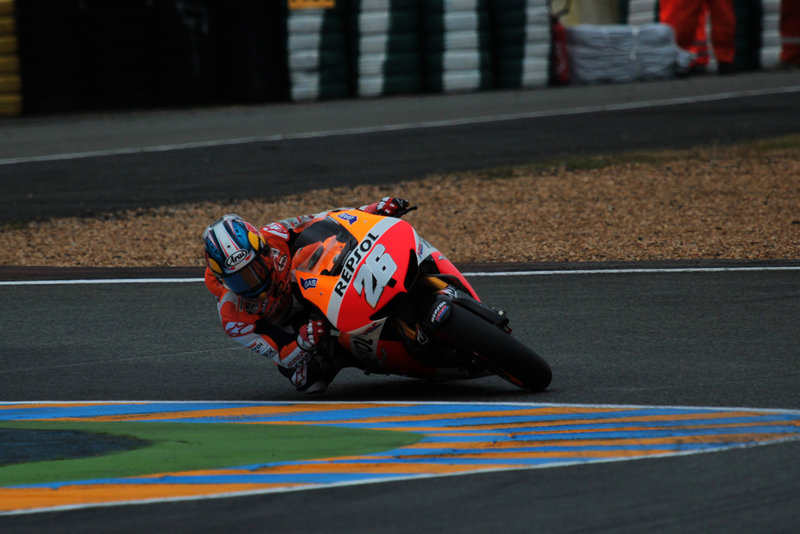 I had good drivers like Rossi, Lorenzo and Stoner but on a couple of occasions I was there. The best chance by far was last year and I think it was a good chance. The crashes at Misano and here at Philip Island last year stopped any chance of the championship. The crash last year here I was pushing on a cold tyre and I slid the front. 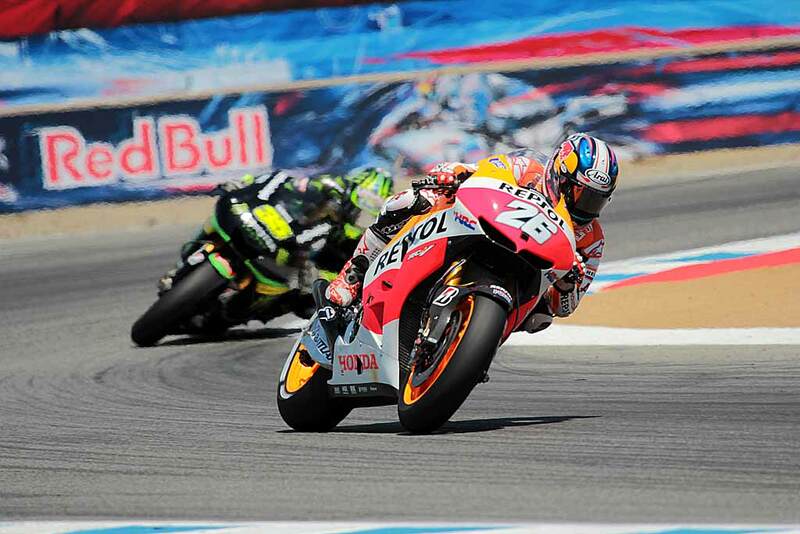 I’ll try to do another good weekend and this year with no Stoner it opens the door because he dominates here. Of all the teammates that you’ve had how do you think you compare to them? Where are your biggest strengths compared to them? I think that always one of my good points is that I always push myself to my very best in any of the situations that I’ve had. Technically my strong point has always been coming out of the corner and picking up the bike and getting a good drive. This and corner speed [are my strengths]. When you compare the data to those riders what was the main thing that they would do differently to you? Obviously strength wise is one of the keys. The change of direction is a little more tricky for me and braking. When you’re braking you can break as deep as you can hold the G-Force. If you can hold 4G you can break at the very limit but obviously you need the grip. When we brake it doesn’t look like we do on TV where it looks like you’re standing but the amount of energy that you are using on your arms to hold your body backwards is a lot. So all the strength you can have there is better for braking late. Did Aragon change your relationship with Marc? What happened in Aragon happened and I understood that it wasn’t on purpose but it’s obviously his way of riding. Afterwards hearing that he listened to what he thinks is important only then obviously you have to approach differently racing against him. Is it just that over the last few years you, Casey and Jorge always had clean racing where enough space given as opposed to this more aggressive riding? On the race track it’s no different. It’s mental. You have to know that there’s no room but that there will be because someone will make the room. On the track you have to ride fast anyway. Away from MotoGP what do you like to do to relax? One of my biggest hobbies is windsurfing but I don’t have enough time…or I should say the correct time. Mostly in Europe when it’s windy and it’s a good temperature to go into the water it is summer and I’m very busy with racing. When I get time in winter there’s no way I’d go in the frozen lakes or water because I don’t enjoy it that way. I enjoy it when it’s sunny and warm. You went to Monza for the Italian Grand Prix, do you get to go to many races in other series? No because I race all the year with one week on and one week off or sometimes two or three weeks in a row and when a weekend off I just like to watch it on TV and stay at my house and chill. If you have to go you have to take another flight, check into another hotel and then wait for the flight and things like this. So as much as I can I try and take my time when I am off because I’ve done this for more than ten years and obviously you like to take profit of your own time. But once I am there and I am watching another series I enjoy Motocross and Supercross a lot. Sometimes I ask myself if it is worth the trip [to go these races] but when you’re there it’s good. 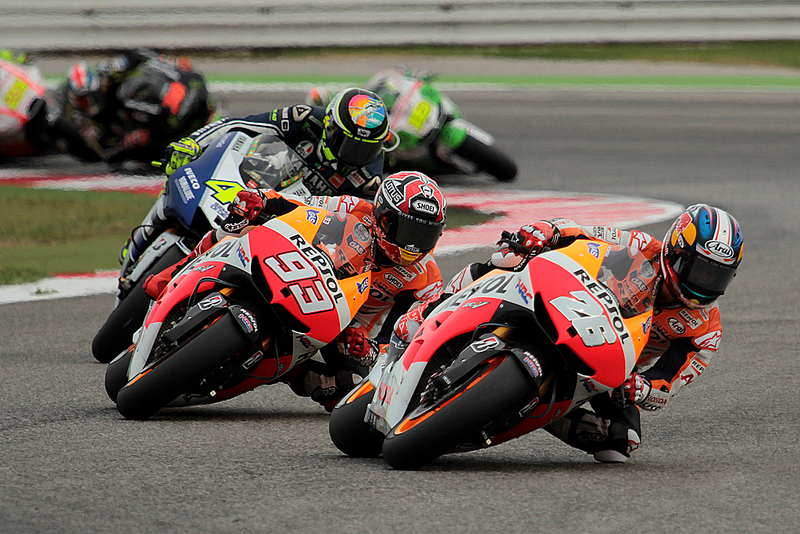 When you at the F1 was there anything that you saw that you’d like to see brought into MotoGP? The paddock is very relaxed. They don’t disturb as much and drivers can go in and out from their motorhomes to the pitbox and they don’t have to run to get to a toilet or feel that someone is watching you when you are in the toilet. In one way for the fans it’s not the best because they like to meet their idols and take pictures but obviously some races are very busy for us and it’s hard even just to go to the toilet or go for food. 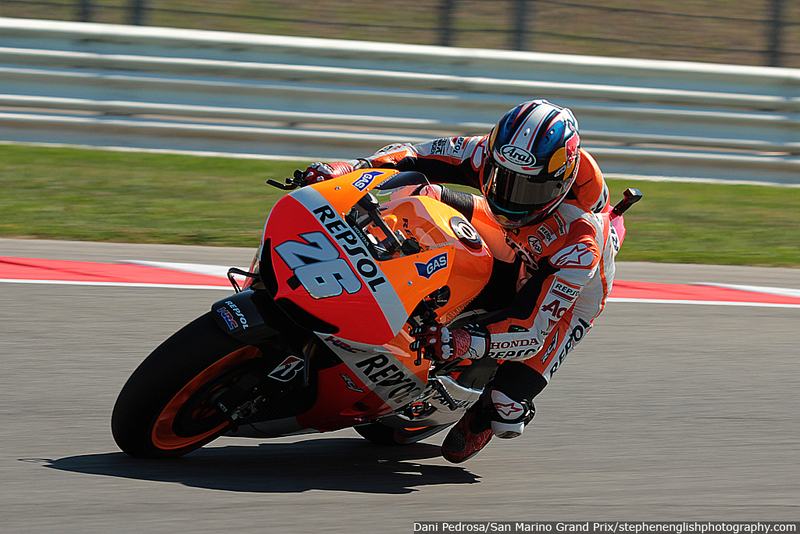 You’ve been in MotoGP for 12 years, how hard is it to keep the motivation to keep coming back? Sometimes it’s hard and it’s something inside, a fire inside, and I think you need to keep the fire up with the daily things. How you wake up, how you train and how you approach any activity that you do. Sometimes you are not in the best shape but you have people who remind you about the good things but it’s something inside you and when it stops you are better to stop. But when it’s going you can still do it. How many more years do think it will burn for you? 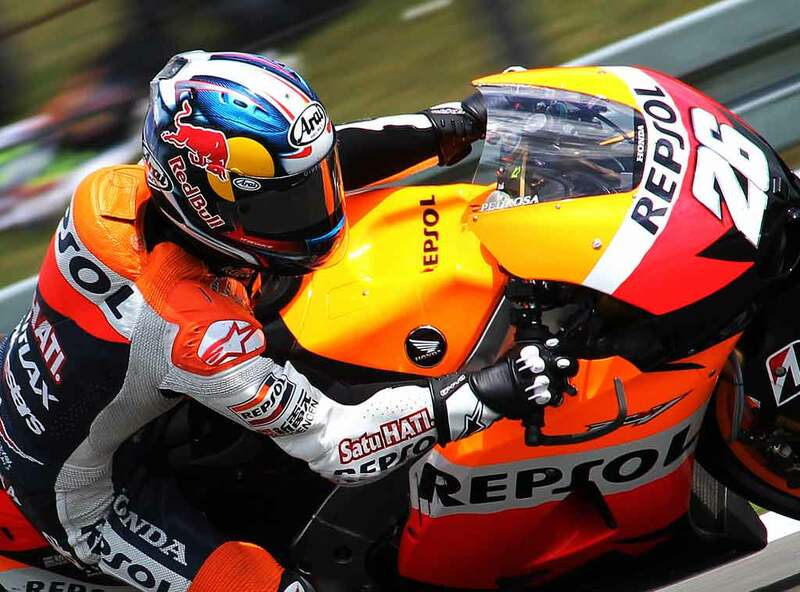 This entry was posted in MotoGP, News and tagged Aragon, Casey Stoner, Grand Prix motorcycle racing, Italian Grand Prix, Misano World Circuit Marco Simoncelli, Phillip Island, Sepang, Stoner. Bookmark the permalink.